The Mitsubishi Outlander plug-in hybrid continues to dominate the ultra-low carbon car and van league table with 21,708 of the vehicles licensed in the UK at the end of Q2 2016. The Outlander makes up 33% of the total of 66,374 plug-in grant eligible vehicles on the road. In second place after the Outlander comes the pure battery-electric Nissan Leaf at 12,837. In third place is the BMW i3 (4,457) which is available with a choice of drive trains: pure battery electric or a range extended version (where a petrol internal combustion engine is used to recharge the battery on long journeys). The Renault Zoe (4,339) is fourth most common, followed by the Mercedes-Benz C350e (3,337) which has leapt ahead of the Tesla Model S (3,312) and Volkswagen Golf GTE (2,657) to take fifth place. The Outlander, Mercedes-Benz C350e and BMW 330e were the only three cars to increase their licensed numbers by more than a 1,000 in Q2 2016. This is the list of all 41 vehicles that are, or have been, eligible for the government’s plug-in car and van grant schemes and which were on the road in the UK at the end of Q2 2016 (the most recent date for which figures are available). “Getting more clean vehicles on the road is crucial to help tackle both climate change and poor air quality yet while there are a record 31.6 million cars on the UK’s roads, just 0.2% are ultra-green. “At the start of the month MPs on the Environmental Audit Committee said they had no confidence in the UK achieving its long-term goals for greening the car fleet. “Car companies selling ultra-green vehicles will be looking at these figures closely. On 1 March the maximum grant dropped from £5,000 per car to £4,500 and because of a new tiered system, some grants – including those for the Outlander – are now no more than £2,500. 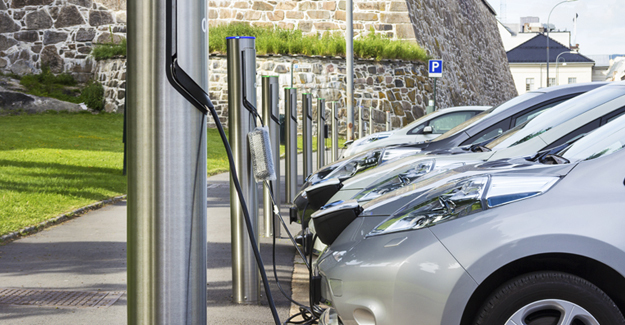 “In a rapidly evolving, but still fledgling market it is hard to discern trends but with the plug-in car grant scheme due for another revision within six months the concern must be that the market will remain fragile, and so we are quite some way from being able to drop the grants completely. “Given that a 5p charge for a plastic bag changed the shopping behaviour of millions, it should be no surprise that when thousands of pounds are at stake drivers are very shrewd about their buying decisions. The cost of green cars is pivotal to their take up and the market will remain acutely sensitive to changes in price whether that is driven by manufacturers or ministers.